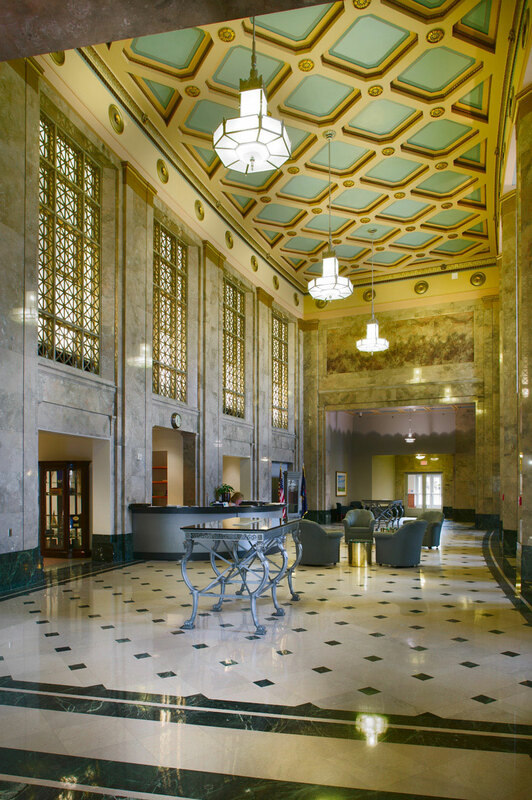 ABD Engineering & Design worked with Neumann/Smith Architecture, FTC&H Engineers, and Granger Construction on the historic renovation and adaptive re-use as well as the new construction alongside this beautiful, award-winning project. 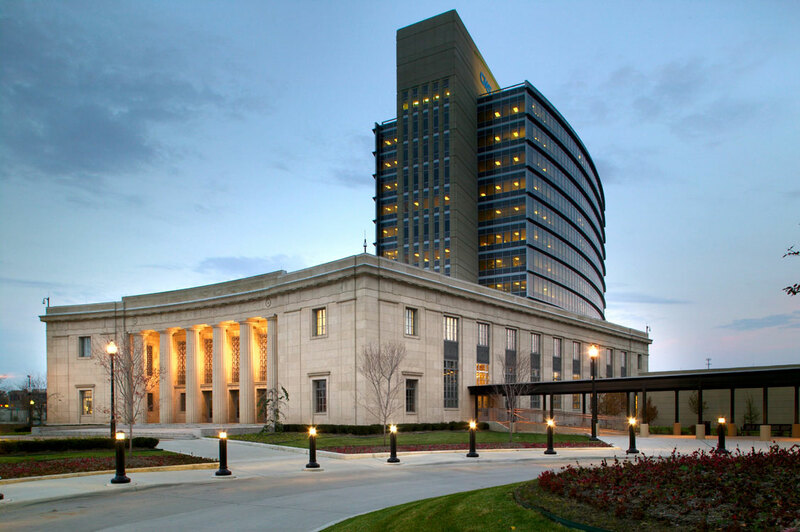 The 12-story high-rise corporate headquarters and re-imagined gateway to the facility won several state and national awards for strategic partnership, along with its design and construction elements, achievements in historic rehabilitation and preservation, and environmental stewardship. The open plan as well as large spaces, both in the new building and historic structure, presented an all-too-common challenge to control echo/reverberation in the spaces. 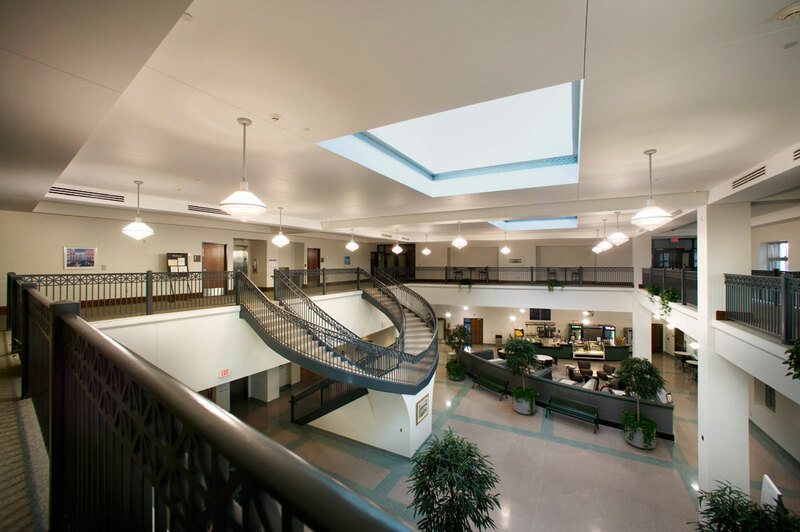 Our Professional Engineers provided recommendations for room acoustics, noise isolation, and mechanical noise control that would honor the modern construction and historic preservation.